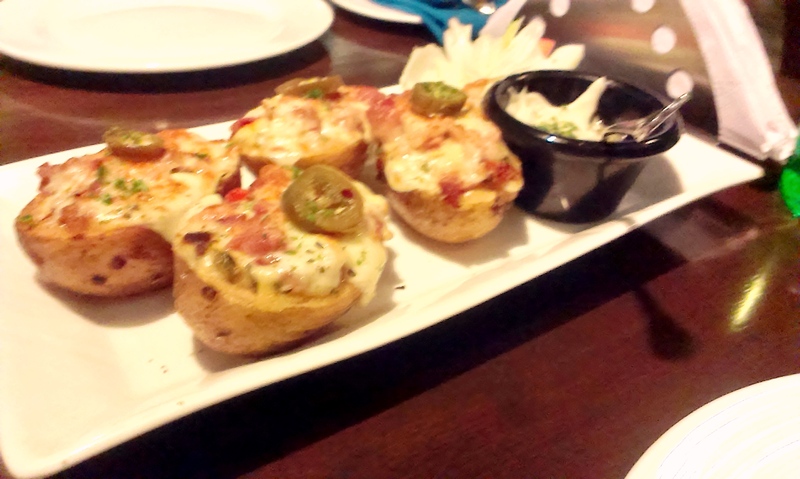 Chef’s Log 23: Potatotally Yummy | The Spoon From Outer Space. Earthlings are strange in their usage of language. The most delicious food they have to offer they refer to as ‘junk’. It makes absolutely no sense. The food that falls under that category is unhealthy, perhaps, (at least for humans and their characteristically weak constitutions) but it certainly makes up for it in taste. If there is anything that should be labelled ‘junk food’ it’s that horrendous mutation known as ‘cab-bage’. Now there’s something I would willingly throw in the trash (Cab-bage even rhymes with garbage). But anyway, I’d rather not linger on the thought of that foul-tasting vegetable, for I have very good news. I think I may have discovered the perfect ‘junk food’ snack: bacon and cheese loaded potato skins. That’s right. I don’t think it requires any further explanation, but I’ll provide it anyway for those of you with inadequate grasping abilities. This dish contains all the elements of an ideal snack: potatoes; which make the best base for anything, cheese; which always adds a salty-rich creaminess, jalapenos-for that little fiery kick, and of course, bacon. The softness of the potatoes combined with the crunchiness of the skin makes for an amazing contrast. It also comes with a great dip. So, to sum up: it is rich, crunchy, cheesy, very filling and extremely bad for you- making it the best (junk food) snack of all time. If you’re wondering where this epic dish is available, it is at a place called ‘Incognito’ located in Phoenix Mall, Viman-Nagar. Malls are yet another puzzling human invention. But that is a post for another day. 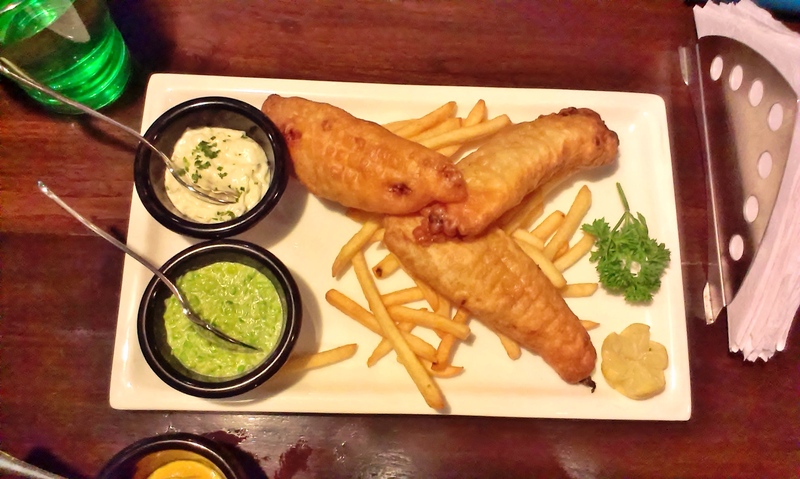 This Incognito place also serves excellent fish and chips. The fish is fragrantly fresh, the batter simple, light and crisp. As in the previous dish, it also comes with two scrumptious dips. If you’re anything like me (and you would be vastly superior if you were), you will already be making plans to visit this wonderful place. Awesome clicks and very inviting dishes!